Forty Montauk School students were thrilled to be getting on a bus to go to the beach for their morning class period. 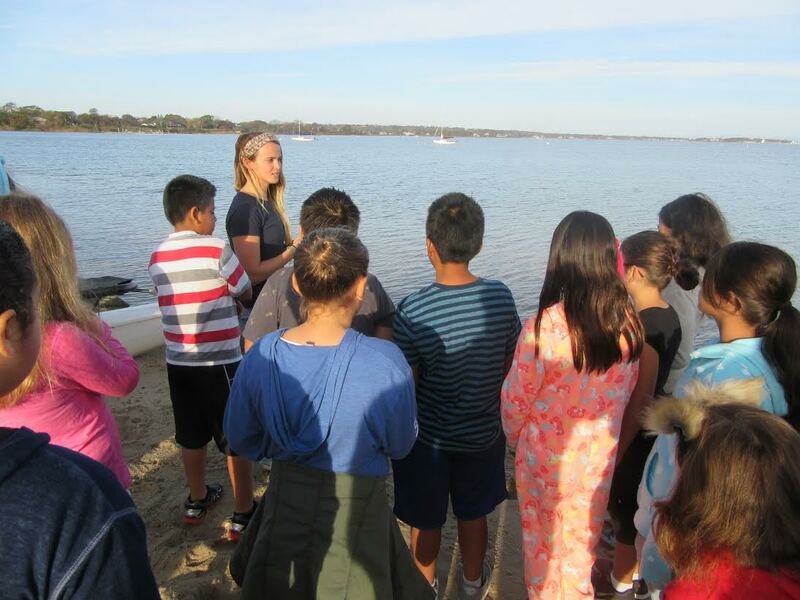 We could not have asked for a better day to bring the fifth grade class down to Lake Montauk for a water quality workshop led by the Blue Water Task Force. 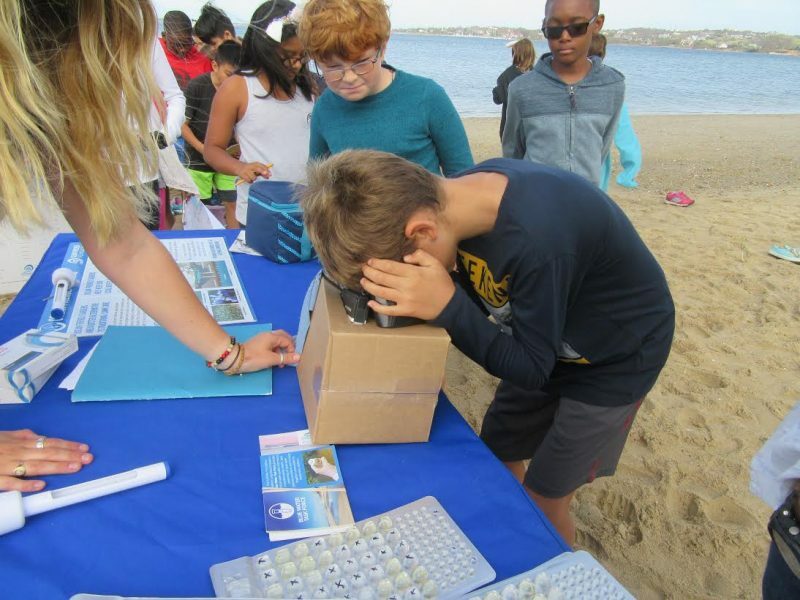 The students were educated about why water quality is so crucial, and how they can become an integral part of the solution. This workshop was integrated to their classroom lessons about the scientific method. First, we met by the sign in the parking lot that reads “Elevated bacteria levels have been recorded in this area after rainfall events. As a precaution all water contact in this are should be avoided…” After brainstorming about all of the factors that could affect water quality in Lake Montauk, like urban runoff, boats, animal waste (dogs, deer, and birds), and the homes surrounding the pond, we introduced the Eastern Long Island Chapter’s sampling program and why it’s so crucial. The students watched a short demonstration on how to quantify the bacteria levels in the water, then took water samples themselves. Learning the importance of diligence in the scientific method, students were careful not to contaminate their samples by using hand sanitizer and being mindful of where they touched on the whirl-pac collection bag. As a team, we collected information about the beach including: weather, tide, whether or not there was recent rain, air temperature, water temperature, and wave height. Then we put our samples in a cooler to be transferred to the lab at CCOM for the lab procedure. 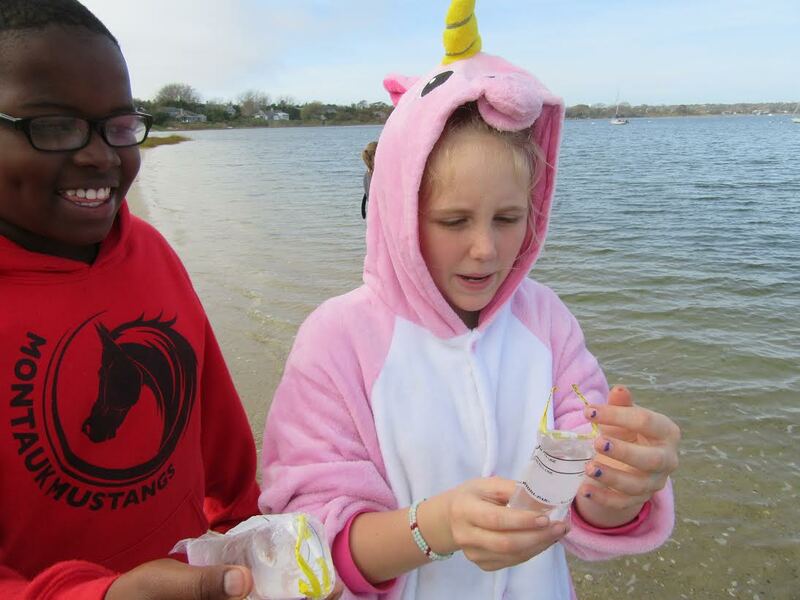 In our DIY sample tray viewing box, students lit up when looking at the results from the week prior when South Beach was clean, but the creeks draining into the beach were not.. The students were sent home motivated when we were able to tie some of the bacteria problems we all experience to tangible solutions. For example, scooping up your dogs poop, planting native plants as a buffer to spread and sink some of the rainwater before it reaches our bays ponds and oceans, and of course, encouraging their parents to properly maintain their septic systems. Educating the next generation of environmental stewards motivates our chapter and the whole East End community, showing hope and cleaner water in our years to come. Oh, and if you’re wondering about the student’s outfits, it was animal day at school!